If Cancelled with more than 30 days notice prior of arrival = A $15.00 admin fee will be deducted from your 1-night deposit and the remaining balance will be refunded OR You may change your arrival dates (within the same camping year) and apply 100% of your original deposit to the newly changed dates. If you booked your reservation a year in advance and cancel before Dec 31st you will receive a full refund. If you cancel after January 1st the cancellation policies above will apply. If you change your Arrival date within 3 days prior to arrival = You must pay for your original booking fees upon arrival. 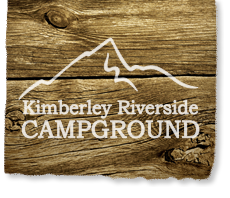 On the condition that we manage to book out all our reservable campsites for the dates you have shortened, we deduct a $10.00 fee for each shortened night and refund the difference. If we are unable to fill those dates you will not be receiving a refund. If you change your Departure Date during your stay or within 3 days prior to arrival = You must pay for your original booking fees upon arrival. On the condition that we manage to book out all our reservable campsites for the dates you have shortened, we deduct a $10.00 fee for each shortened night and refund the difference. If we are unable to fill those dates you will not be receiving a refund. If you change your Arrival or Departure date with 4 to 30 days notice prior to your arrival = You will incur a $5.00 fee for each night shortened and receive no further charges/penalties. QUIET TIME is from 11:00pm to 8:00am and is taken very seriously. Camp hosts walk the campground every night enforcing the quiet time at 11pm. Failure to adhere to the quiet time will result in being asked to leave if this rule is not adhered to if we have to speak to your site twice. BOOKINGS OF 1 OR 2 NIGHTS: We reserve the right to move any 1 or two night booking to another site number. We will do our best to ensure your requests are accommodated, however we do shuffle these short bookings around to make longer stays (and so folks don't have to move as much). SITE NUMBER: With bookings of 3+ nights we do our best to ensure you are guaranteed your site number that you booked originally. In very rare circumstances we may need to move your booking to another site and reserve the right to do this without notice. PETS - Please keep on a leash, pick up after and DO NOT leave unattended at your site. Also ensure they are brought in at night to respect our "Quiet Time". GARBAGE - DO NOT USE FIREPITS AS GARBAGE CONTAINERS or leave any garbage or food waste your site - it will attract both small & large critters to the campground! Garbage dumpsters are located throughout the campground. Sites left a mess will be charged a $25 cleaning fee. RECYCLING - Help protect our environment and please make the effort to recycle. Recycling bins for pop & juice containers, beer & wine bottles, cardboard and plastic are located beside all garbage dumpsters. KEEP IT CLEAN - We take pride in keeping our campground and washrooms clean for our guests to enjoy - please respect these facilities during your stay. *Sites left a mess will be automatically charged a $25 fee to the credit card on file. LONG WEEKENDS - Require a 3 night minimum along with JulyFestival weekend. CHECK OUT TIME - is no later than 11:00am. Unauthorized late check outs will result in a 'late fee' of 1 night accommodation plus tax. CHECK IN TIME - is after 2:00pm. Please make travel arrangements accordingly, early arrivals will not be permitted until 2pm to ensure maintenance and grounds crew has sufficient time to clean sites and do any required maintenance (pruning for example). RESERVATIONS: You may make reservations up to 53 weeks in advance (1 year + 1 week) in advance of your anticipated arrival date. For example, you may make a reservation for your stay of July 1st-14th 2019 as early as June 24th, 2018. Please keep in mind that some folks might like to book the same site as you from June 25th - July 7th, 2019, as a result they were able to reserve that spot from June 18th 2018. If your favorite site was unavailable please ask to add your name to our upgrade list and we will contact you if your preferred site opens up! For more detailed information, please contact our office - thank you!